A week off, much-needed rain and busy bees	Country Homes and Exteriors! 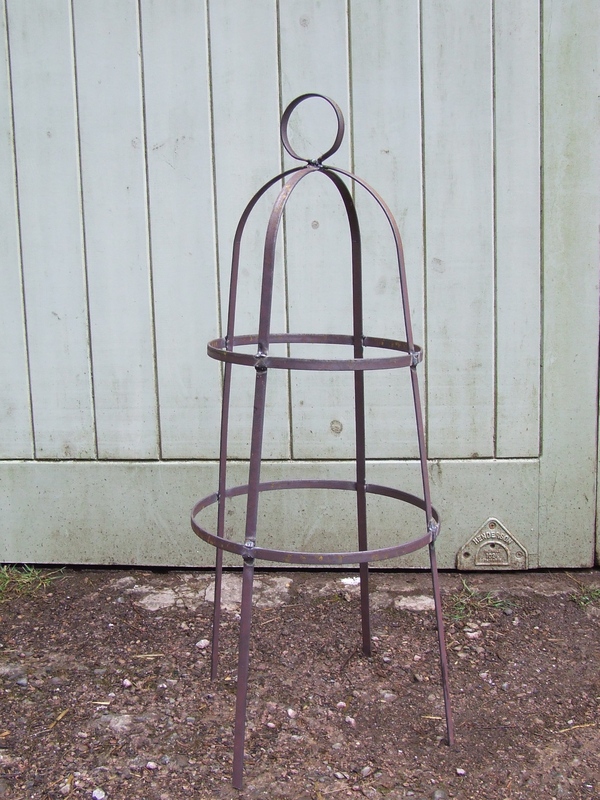 As a bit of a part-time metal-things-maker I find it rather odd that my ‘customers’ (often Sue when she nicks something I’ve just made) seem to want the resulting ‘artwork’ to be left to go rusty – must be something they’ve read in one of these trendy gardening magazines! 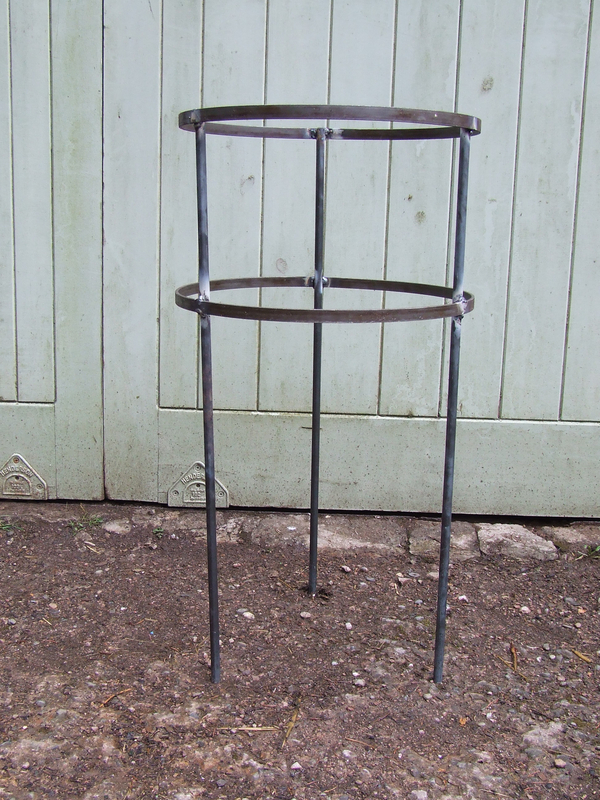 Anyway, whilst it’s been too cold / hot / wet to do much in the garden, I’ve been cutting / bending / forging bits of metal into more things for gardeners. The first two were commissions for ladies in Abergavenny. 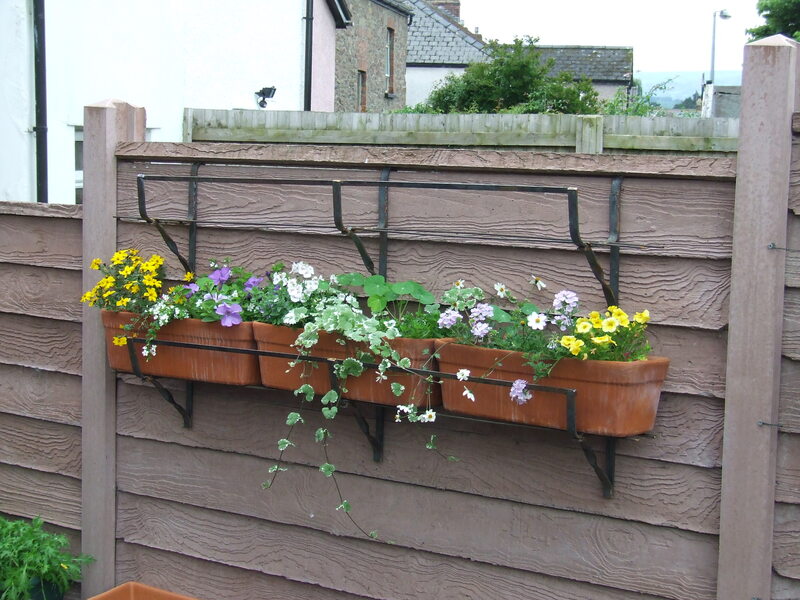 The first wanted to hide a concrete wall and the top of a neighbour’s shed in a small garden. This was a real design and build job, not being something I’d done before, but it seems to have worked out OK. It was also a good combination of forge work and welding. Here it is .. 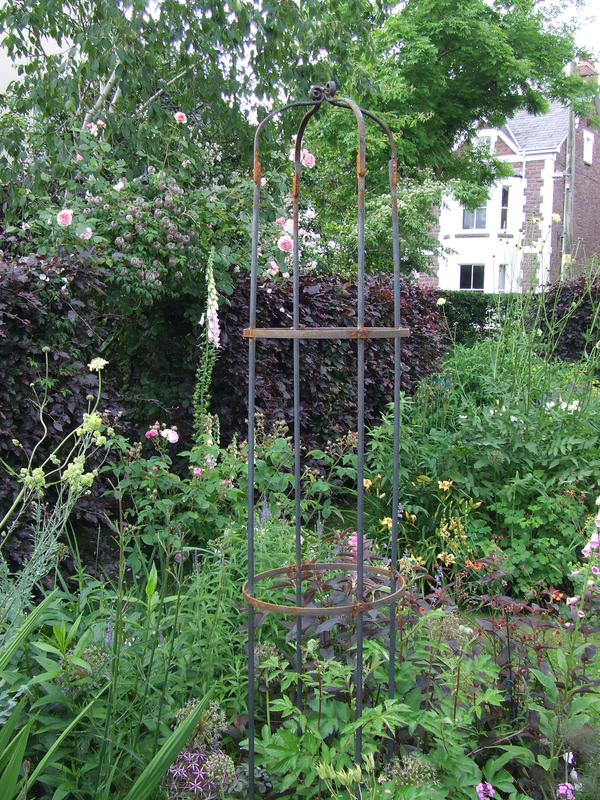 The second was for two six foot clematis supports, the only stipulation was that they shouldn’t look too heavy! Whilst clematis isn’t all that heavy as a plant, anything six foot out of the ground needs to be a bit solid to stop it twisting, but I think the compromise was just about right. 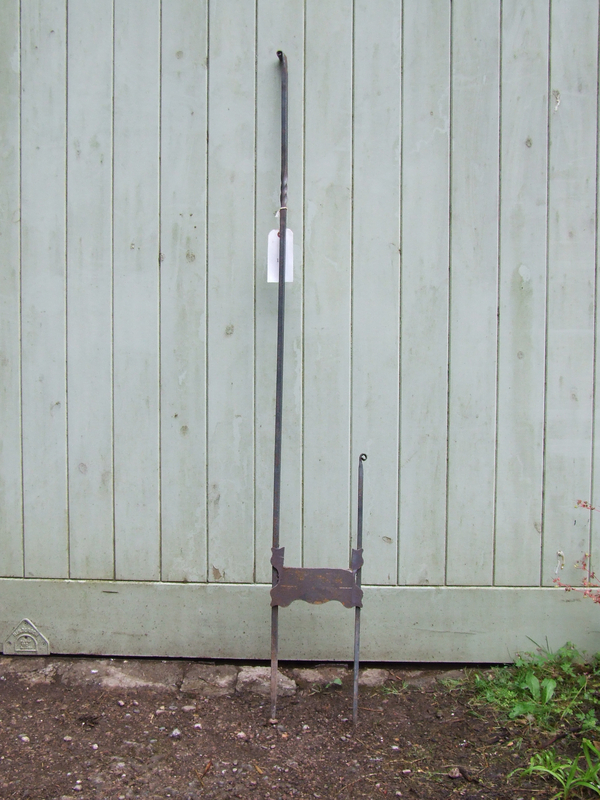 Difficult things to get a good piccie of, but here we go..
and the much admired ..
For those muddy boot days there’s also ..
classic boot scraper c/w handle to stop you falling over!! It’s not all outdoor stuff on the forge however, as I was also asked to make some door ‘hooks’ for the listed building down the road. 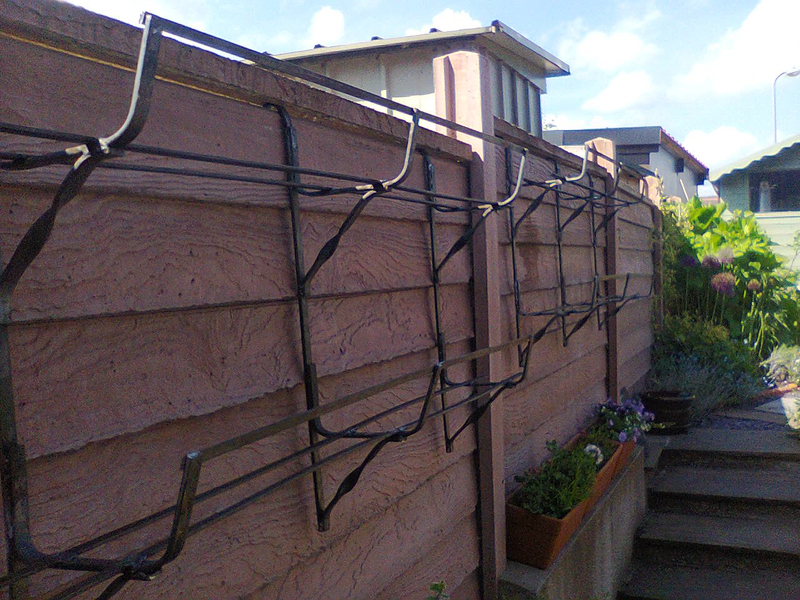 They look simple, but getting a good bend on 20mm steel bar takes some heat and hammering. There were four in all and one is seen here with part of it’s door hinge. 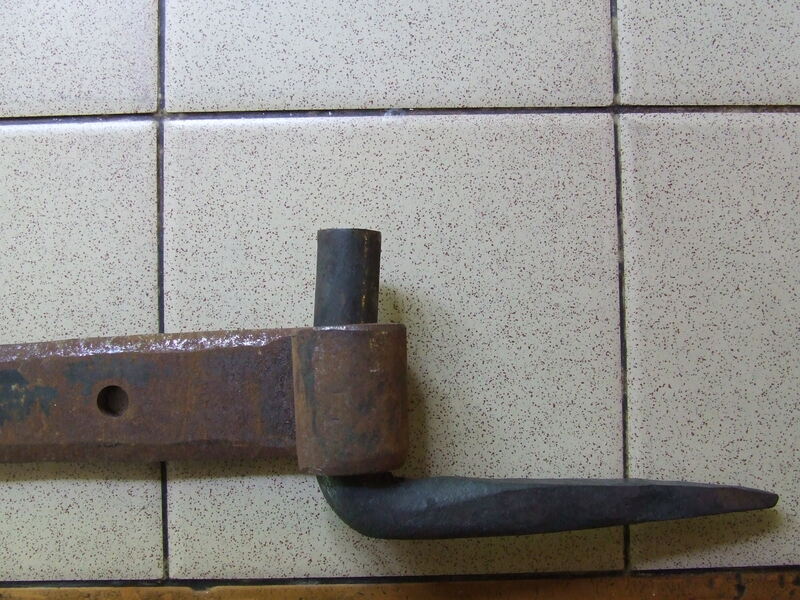 Door ‘hook’ – the black bit. I was also able to treat the hinge pieces as well so that the whole assembly shouldn’t need painting in the future. 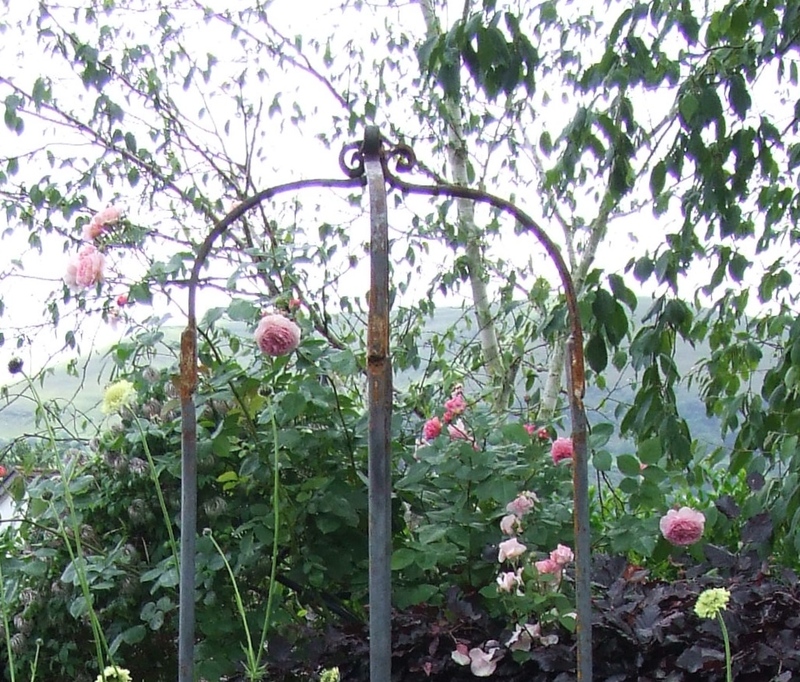 If you have any ideas for something in metal (or a bench repair) that you want just e-mail me on garden@nantybedd.com and I’ll see what I can do!